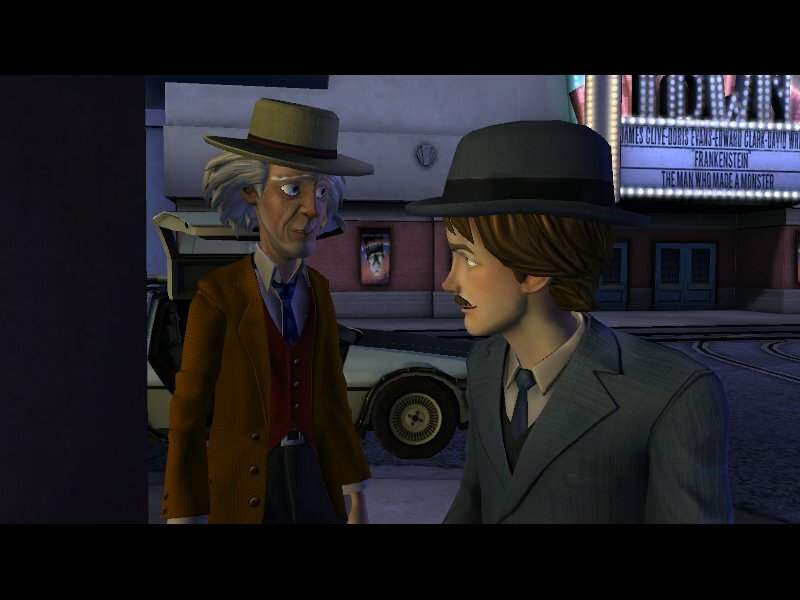 A few days ago, the second episode of Telltale’s Back to the Future adventure game became available. We’ve already given our feelings on the first superb installment. Since this is, after all, an episode, much of the game is identical to its predecessor, so this review will be primarily focused on where it differs. Also, if you haven’t played the first episode, there may be spoilers within, so be forewarned. If you liked the visuals of the first episode, you’ll have little to object to here. The primary hub of the game is the same, the ubiquitous town square of Hill Valley. A few new characters and a few new settings are introduced, and they keep with the theme well. 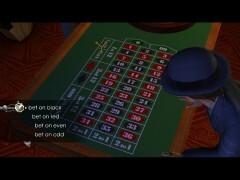 The “El Kid”, a speak easy hinted at in the prior game, is particularly prominent and notable. The style of the game is really growing on me, and it comes in two layers. The first is the 3D aspect, which you interact with in general. The second is the illustrated elements, which are more prevalent in this one. 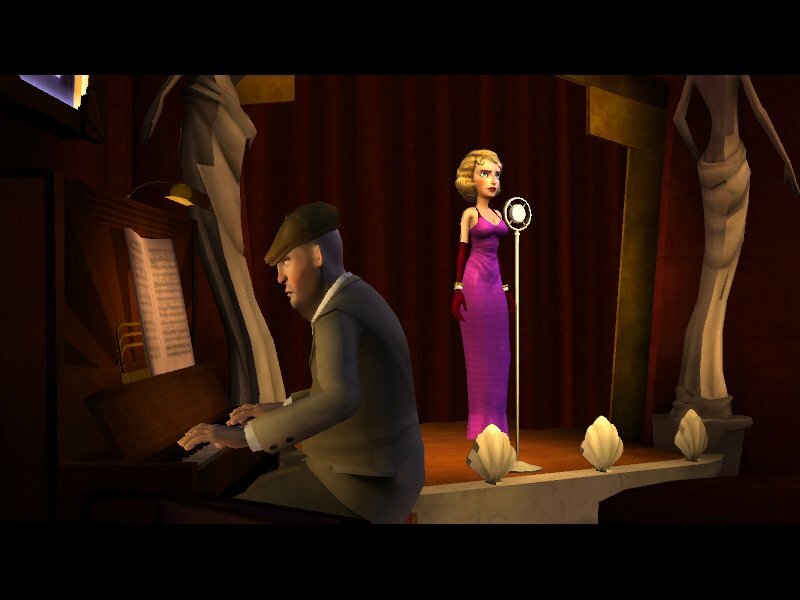 A night singer named Trixie Trotter, who is central to the plot, has a poster made, and there are caricatures lining the walls. It almost gives you the feel that you are looking at some of the concept artwork. I like it. Other than that, the visuals include nice little touches to both help you remember what areas are interactive and which are not. For instance, Doc Brown takes up residence in a flophouse for most of this episode, and when you are walking along in the town square, you can see him watching you from the window, a useful reminder of where he is. There are also visual cues of current and future plot elements, like the fact that Frankenstein is playing at the movie theater, and that the “Hill Valley Expo” is coming up in a few weeks. Little touches like that really show the work and thought that went into the title. 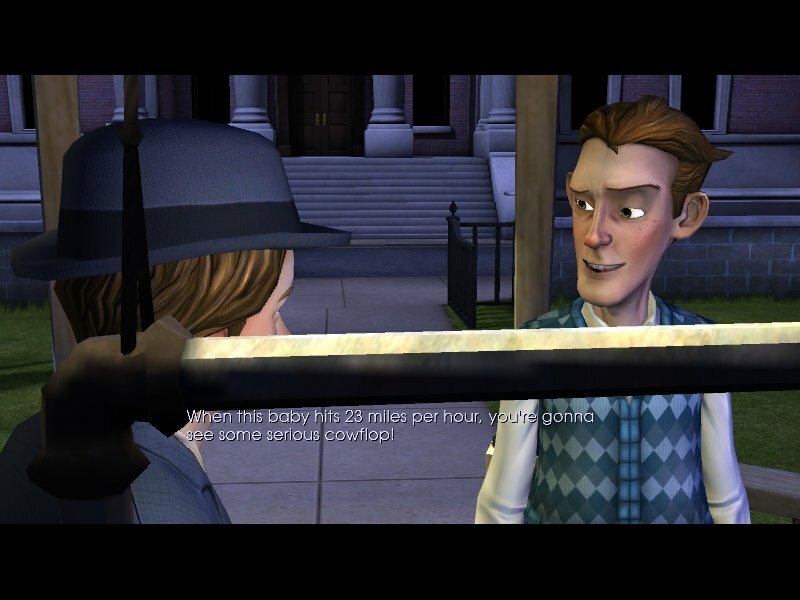 The game play is much the same as it had been, though there appear to have been some tweaks. 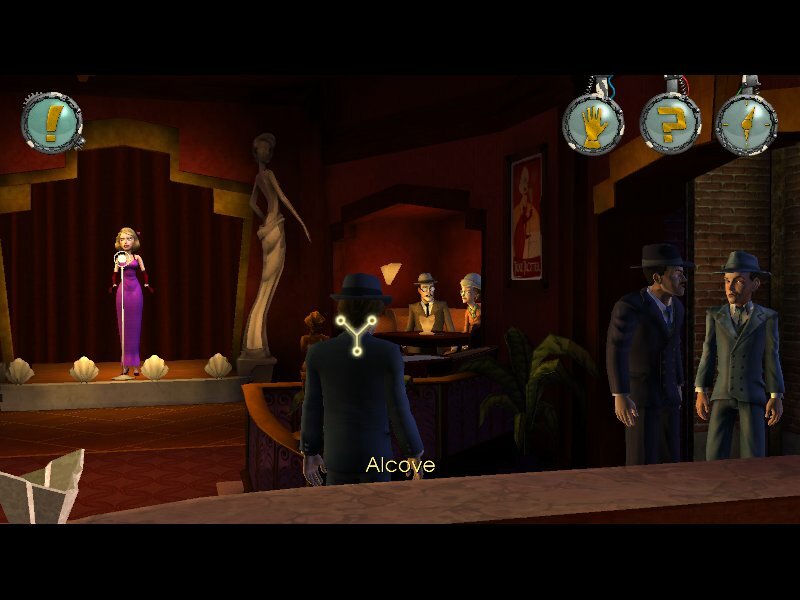 For instance, there are now a handful of points in the game where you must drag or direct your point of view in order to take in a full scene and identify the appropriate target. In a game where half of the challenge comes from finding all of the interactive elements in an area, increasing the searchable area to effectively a panorama seems like a natural evolution. Another shift seems to have come in the form of navigation. 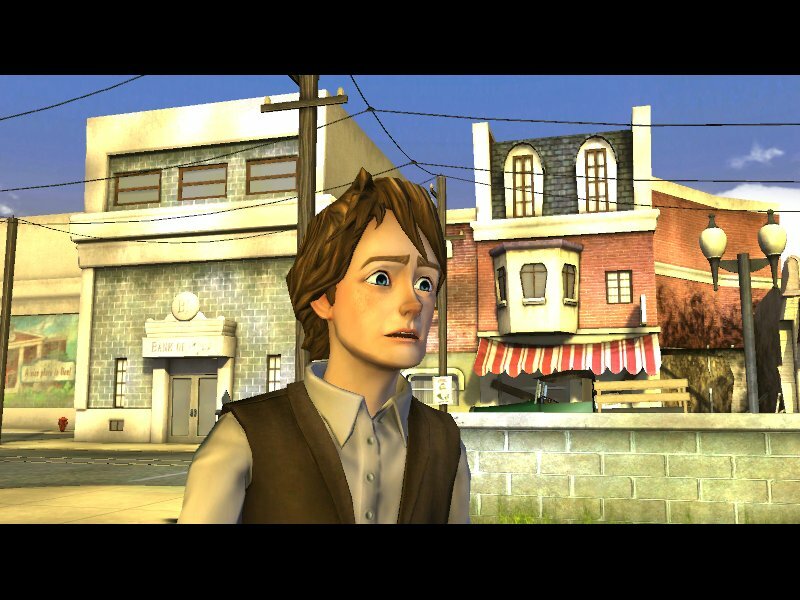 There are portions of the game where the camera sticks with your character. The orientation is locked, but as you move it stays with you. I’m not sure if this was an attempt to improve the navigation, which was a little tricky last time, or a way to keep the point of view from revealing certain locations from certain angles. 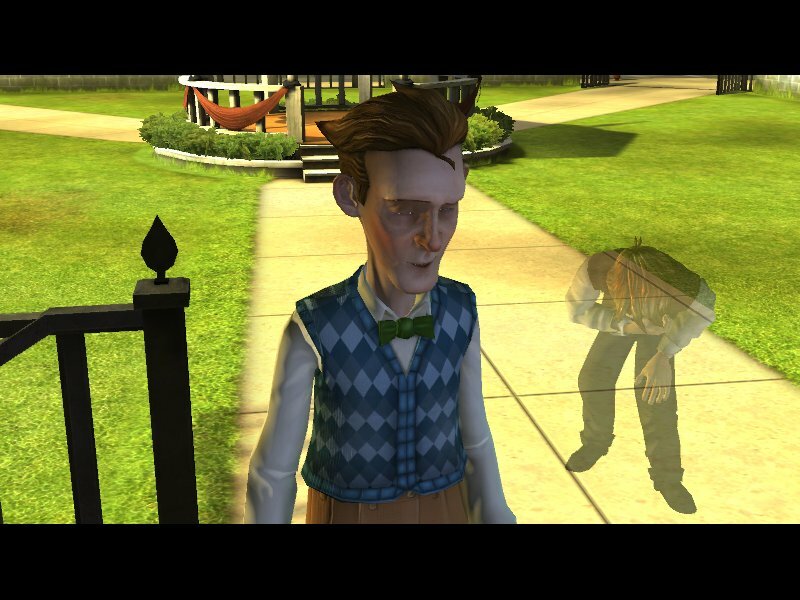 (In a game with time travel, it occasionally becomes necessary to keep the camera from straying too high, too low, or too far in either direction, lest it reveal a future version of the character in a parallel plot thread. More on that later.) Regardless of the motivation, it wasn’t the most efficient decision, leading you to run blindly toward the camera until an opening in a fence lines up with you. This is a minor problem, and one that ceases to be an issue once you are familiar with the layout. 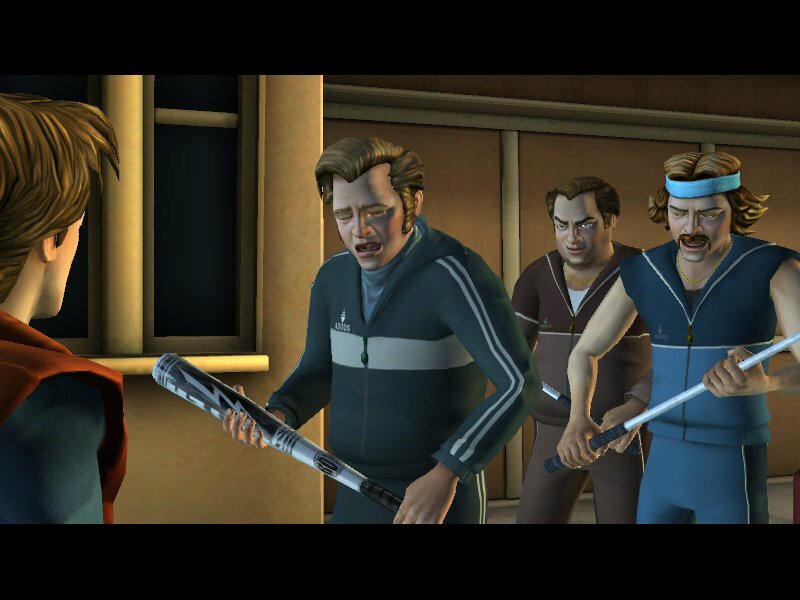 There are a handful of fun puzzles to round things out, including the manipulation of a person’s emotions by carefully selecting music to set the proper mood and finding a way to incapacitate a trio of thugs long enough to rescue someone. I continue to admire the way that the game leads you toward the correct answer. 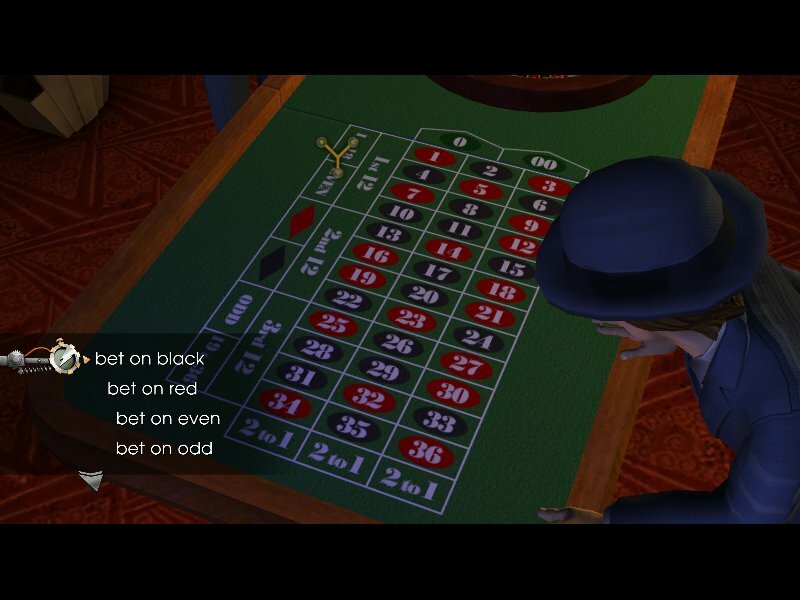 There is a hint system, as before, but I kept it at its lowest level, instead relying upon the clues included in the game’s phrasing and descriptions. Generally, examining an item in your inventory or attempting to hand it to someone who doesn’t need it will prompt a comment that vaguely (or sometimes bluntly) indicates its proper use. Obviously the same actors are back, and they continue to put in excellent performances. That said, the voice cast isn’t QUITE deep enough to cover all of the characters with the same degree of quality. 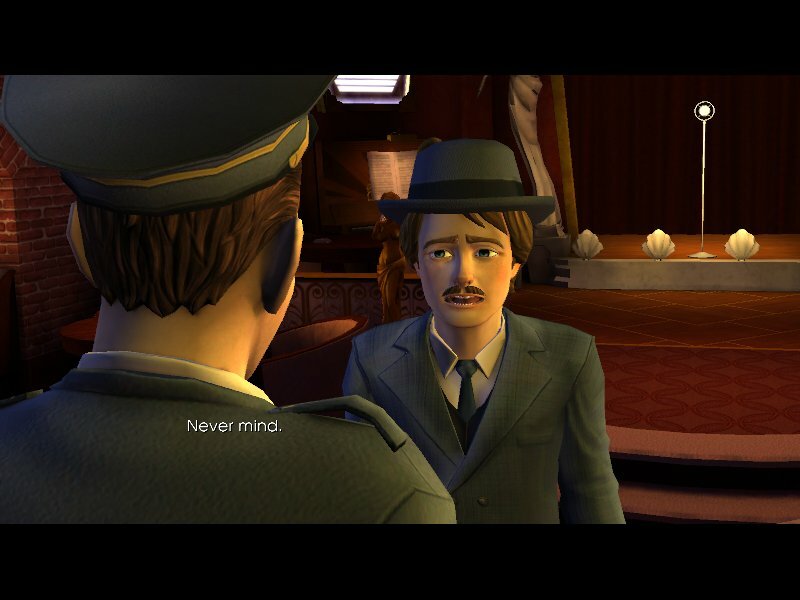 All of the primary characters do a good job, but there’s at least one character, a man who repeatedly tries to pick a fight with Marty, who has a voice that screams “Hey, can you do another voice?” The aforementioned Trixie is a new addition to the cast, and she is well played as the stereotypical mob moll, with a decent singing voice, to boot. This is good, because she does a fair amount of singing. 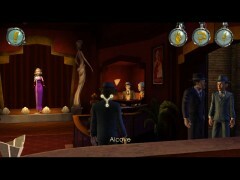 Music is a key element to the completion of the game, and the songs are actually performed in the background. Here and there, a character is intended to sing poorly, too. They succeeded. There were one or two quirks with the audio, this time around. For one, in the first game you were able to select your own name. I went with Michael Corleone. This time around, people simply referred to me as Harry Callahan, which admittedly is the name most appropriate, what with Clint Eastwood’s name having been borrowed once before. Every now and then, though, another name from the list of potential names would spring up, with a character greeting you as “Mr. Crockett” for example. Likewise, I caught an instance where a chunk of dialogue is simply missing, with the offending piece of the the subtitle showing a snippet that didn’t make much sense in context. Both mistakes had no impact on gameplay, and in both cases I had to restore an old save and play the section over again to be sure that it even happened. As the only genuinely new aspect of the episode, it is crucial that the story continue to be engaging. Luckily, it succeeds admirably. The plot is an order of magnitude more complex this time around. Whereas last time all you had to do was solve a problem in the past, this time you’re tasked with solving the multitude of problems you CAUSED by solving the first problem. Once again your lineage is endangered as the events of the previous game put your grandfather Arthur’s life in danger. Solving this problem, though, is soon revealed to be only the beginning. What should be a return to the 1986 you left behind instead finds you in an alternate timeline where the Tannens are (still) a powerful crime family. You’ll have to go back in time once more to fix what you screwed up. 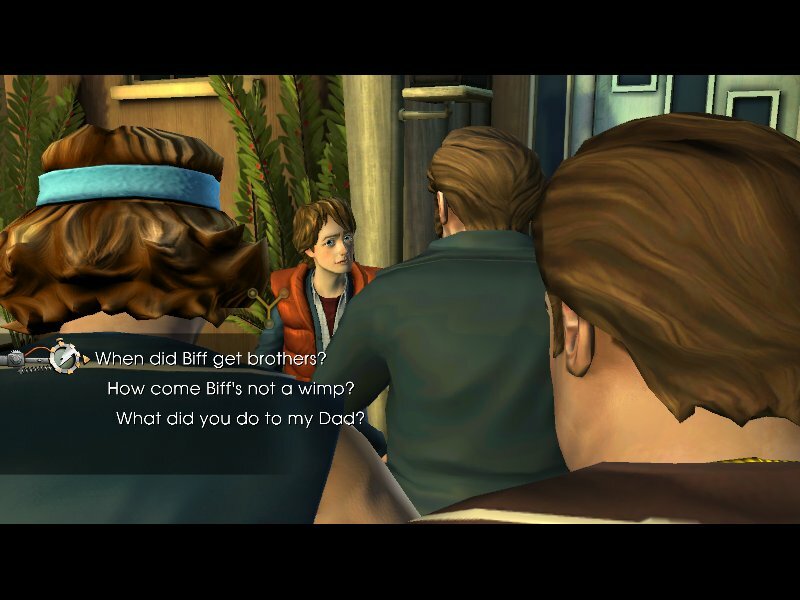 In doing so, you’ll get to see Young Emmett Brown show off more of his burgeoning scientific prowess, which produces one of my favorite lines of the game series so far. 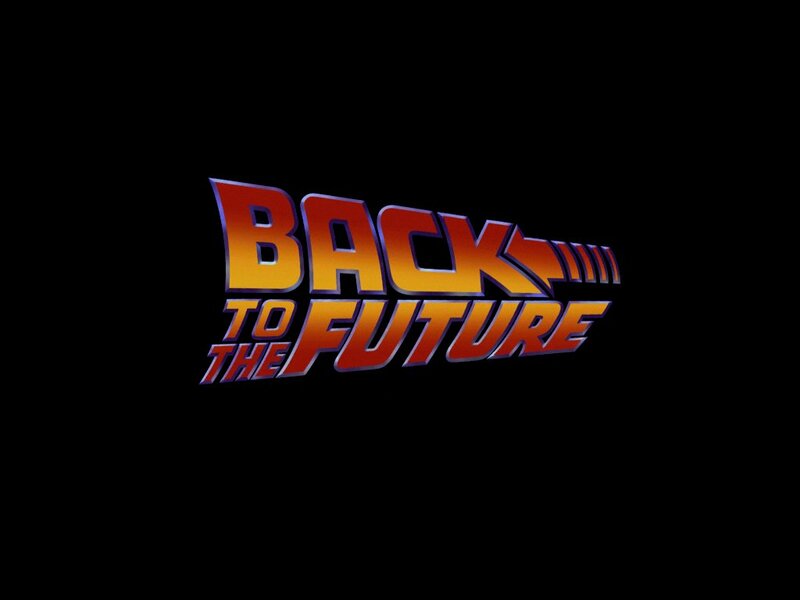 The story is startlingly complex, so much so that you can actually ask Doc Brown to give you a rundown, which reveals there to be five distinct timelines involved, and we are only at Episode 2 of five! We’re going to need a flow chart to keep track of this game. Perhaps my favorite aspect of the story is the ending. You are provided with a look forward at what the next game will bring, and it looks like it will be a doozy. I cannot WAIT for Episode 3. Perhaps it was the fact that some of the novelty had worn off, or perhaps it was the fact that I knew what to expect, but I felt like this episode had a few more bugs and quirks than its predecessor. That said, it remains just as enjoyable and high quality as Episode 1, and does a stellar job whetting my appetite for the followup. 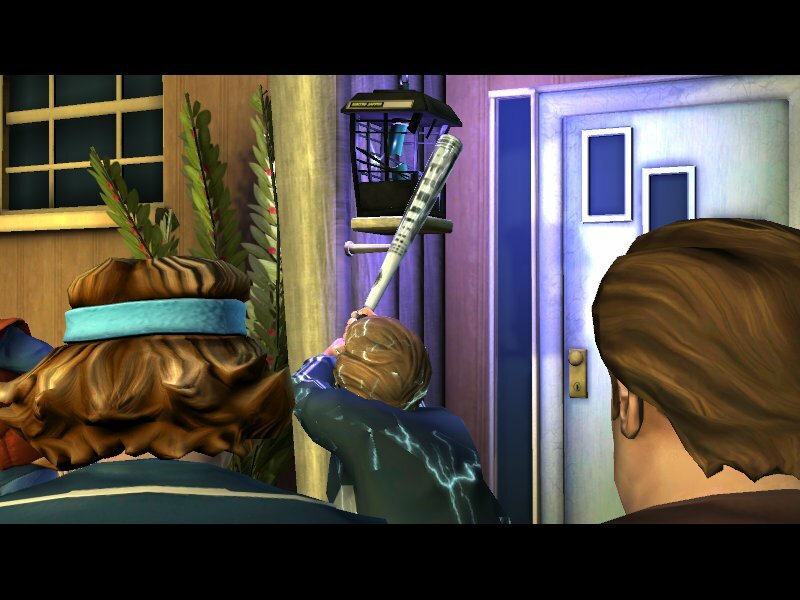 8.8 / 10: The novelty has cooled a bit, but Episode 2 keeps the same fun gameplay and exceptional story.